Oh Grumpy Cat, you're so silly! You really, really don't like anyone or anything. You are a real Scrooge. Wait, what's that you say? You do believe in the Holidays and you have a Gift for me? Thank you so much! ƒIt's in the Litter Box you say? You are the worst, but gosh aren't you cute. 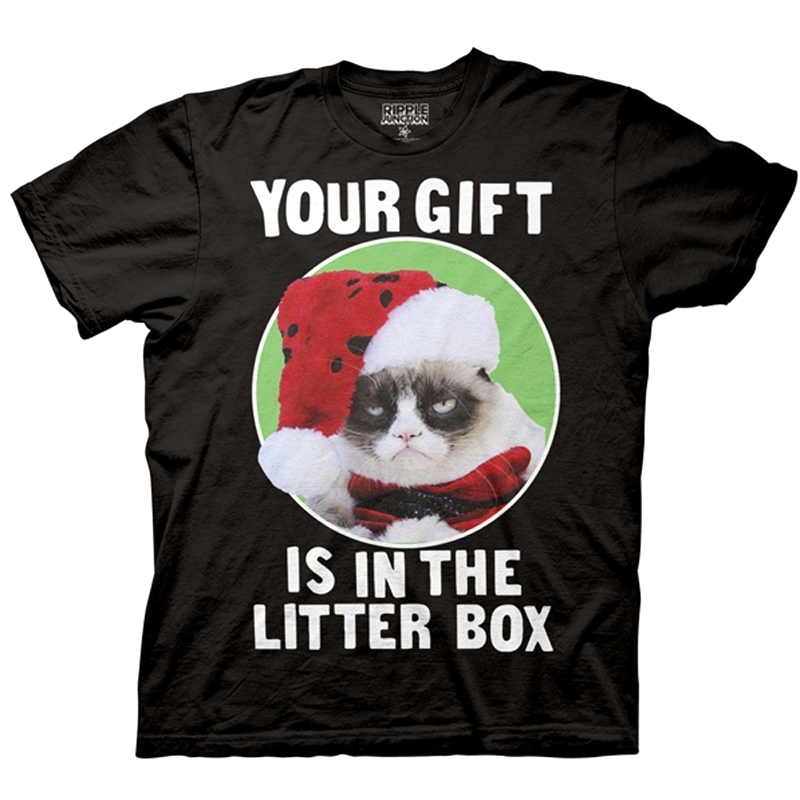 This Grumpy Cat Holidays Shirt will turn every Holiday scowl into a big ol' smile. Feature: - Standard sized. 100% cotton.